What are the Causes of Bikini Bumps? Spring is the season when outdoor fun in the sun returns with a happy vengeance. Heavy coats are swapped out for lightweight jackets, short sleeves, and, as the temps rise, swimsuits! Unfortunately, a long winter of bikini-line neglect might have many women reaching for the razor to remove unsightly hairs that threaten to break free of baring swimwear bottoms. If it’s been a few months since you groomed your bikini line, the razor might cause major burn and lots of bumps. While a dull razor can cause razor burn and leaves the skin red and sore (or burning, thus the term), the bikini bumps you see after shaving are hairs trapped underneath the skin—or, ingrown hairs. 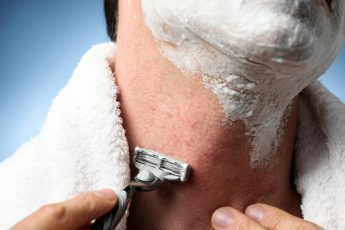 Proper shaving techniques to ensure that ingrown hairs don’t grow out of control. Always use a fresh razor blade. A dull razor won’t remove the hair efficiently, and the dull blade also puts you at risk for nicks and other types of irritation. Never, ever dry shave—this means shaving without a lubricant like soap, gel or oil. Shaving with water is still considered ‘dry shaving,’ as water is not a suitable lubricant to protect delicate skin. Instead, use a moisturizing shave gel to keep skin smooth during hair removal. How you shave also affects your risk for ingrown hairs. Take your time to precisely shave each area; quick shaves aren’t effective and may increase the chances for cuts, irritation and ingrown hairs! There’s a reason why most men use aftershave products after they finish shaving. Lotions and toners may help prevent or soothe irritation and bumps from ingrown hairs. The fragile bikini line area should be treated with an aftershave product to protect the skin and prevent irritation—always check that the product you choose is safe for the bikini area. If you find that other areas of the body—like the underarm area—also have been prone to bumps, make sure to treat these areas, too! Waxing removes the hair by the root, and it is a more long-term solution for women who wish to avoid daily maintenance. 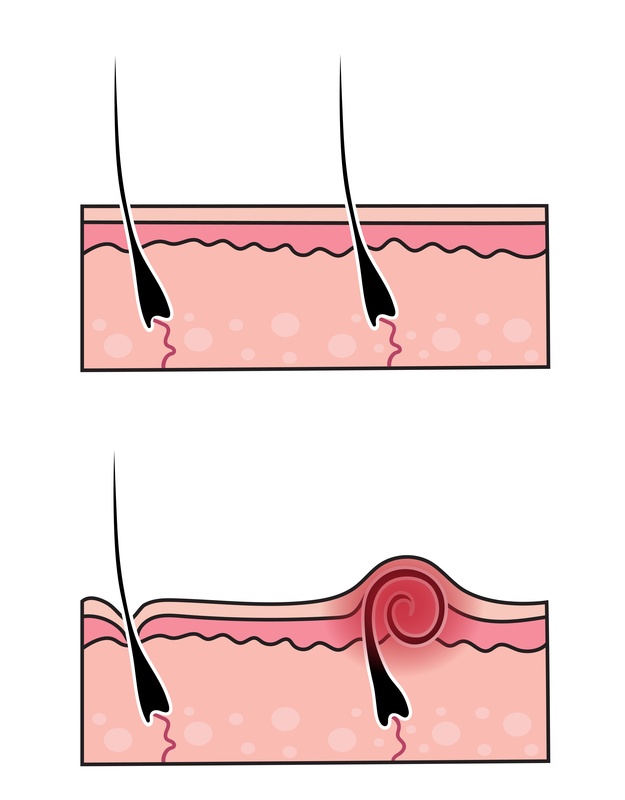 Like all hair removal processes, however, even waxing can cause ingrown hairs. Any time you remove or cut off a hair without proper technique, you risk the chance of it growing back improperly. After waxing, the area also may be sensitive and sore. You can use the same strategy as you would for shaving. An over-the-counter product can help prevent redness, irritation and help heal any ingrown hairs. Depilatory creams work by dissolving the hair, and these creams also seem like a magical solution to curb those unsightly bumps. If you don’t shave or wax, then there seems to be less risk for ingrown hairs. Unfortunately, even dissolving the hair with creams can cause ingrown hairs. Depilatory creams also can cause redness and irritation just like other hair removal solutions. Some users of the creams have had more adverse reactions. Always make sure the cream you choose is safe to use on the bikini line—many brands offer formulas that are specifically for the bikini area. Regardless of your hair removal process, take your time, prep the skin and always treat the area after shaving or waxing to help heal and nurture the skin. Hopefully, with the right techniques and skin care, those red bumps won’t threaten to ruin your summer fun in the sun.